I can see why this pattern is so popular! 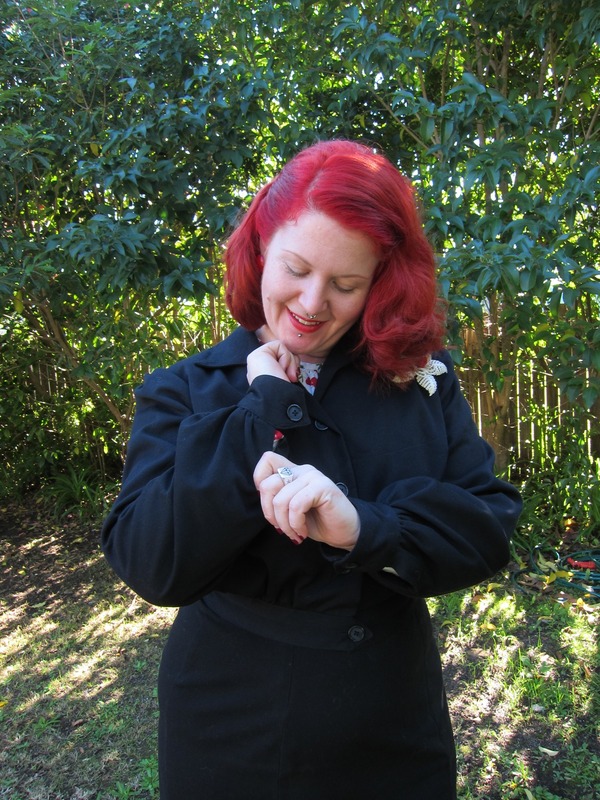 Easy to sew, and the full sleeves feel very glamorous. Did you know you can also buy a digital print-at-home version of this pattern in my Etsy store? Just follow this link! Mods: None really. There is so much ease in this pattern that I used the 38 inch size (I’m 39.5) and simply enlarged the waist band to fit me. The only issue I had was setting the sleeve head into the arm – so I just slightly gathered the top of the sleeve for a small puff. 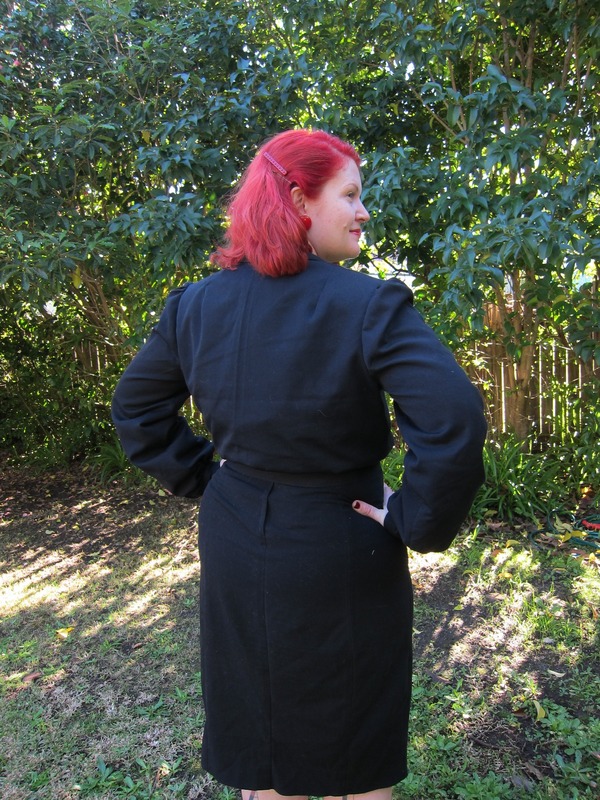 Also – didn’t do bound button holes because they are evil. I think my favorite details are the pointed cuffs – so cute! 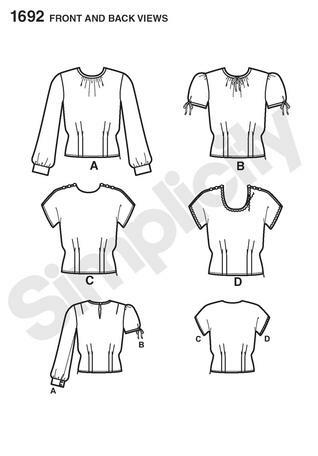 How about Simplicity 1692 ( view A)? 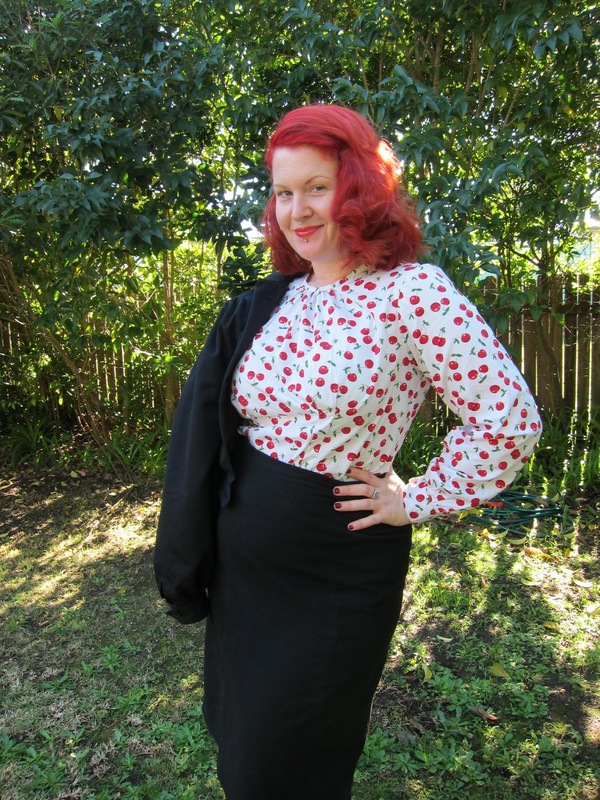 In comparison to the Jacket, this blouse is full of modifications, but I’m still very happy with it. I didn’t realise until I looked at the pattern pieces, but it’s meant to just slip over your head which would have made the the shirt very ‘blousy’ and not at all flattering. The darts also end just before the waist leaving a lot of excess baggy fabric around your middle. 1. extended the front and back darts up past the waist line. 2. cut a size smaller to reduce the ease. 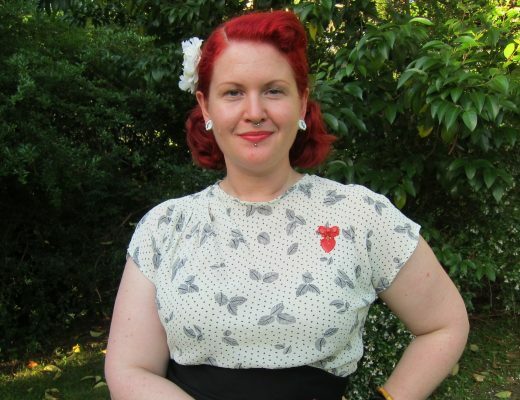 3. changed the back to be a button-up (same as most other 1940’s blouses). 4. drop the sleeve height by 1/4 inch to remove shoulder pads. Fabric: 100% cotton print from Lincraft (very old stash busting). I hope the weather has been fine and sunny where you are too! Previous Post It's that time of year again - Fifties Fair Day! Fabulous jacket and blouse. Love all the little details. Lovely! Reminds me I really must get on with my own jacket. I've had Vogue 7146 sitting on the shelf for a few months waiting for me to buy the fabric. I plan on using a red and black check wool, but it's too damn hot to think about wool at the minute! 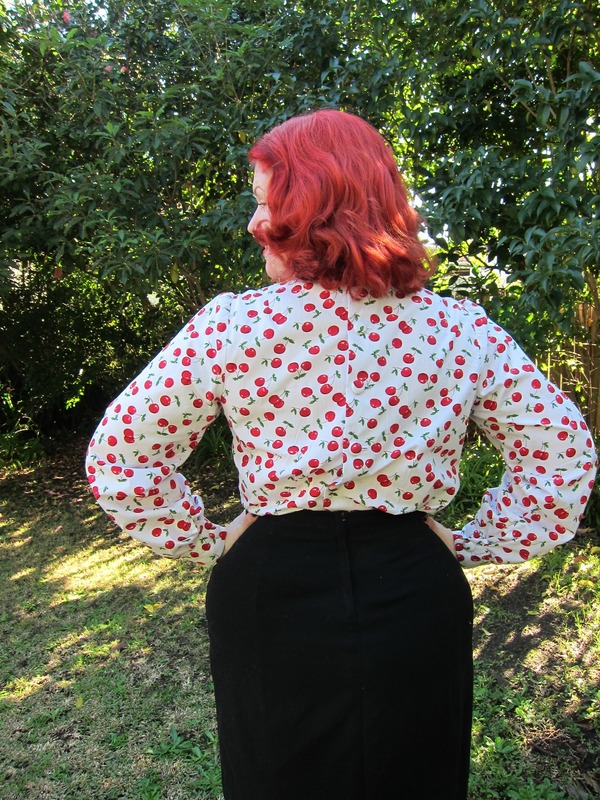 Funny enough, a cherry print blouse is my next project too! Short sleeves though. Both of those turned out awesome! I tried making the blouse and just did not like it at all. It made me feel frumpy and blah. I think I need to drop the neckline. The jacket turned out great. It's much fancier than I expected from the pattern envelope. But WOW that blouse! It's just stunning! 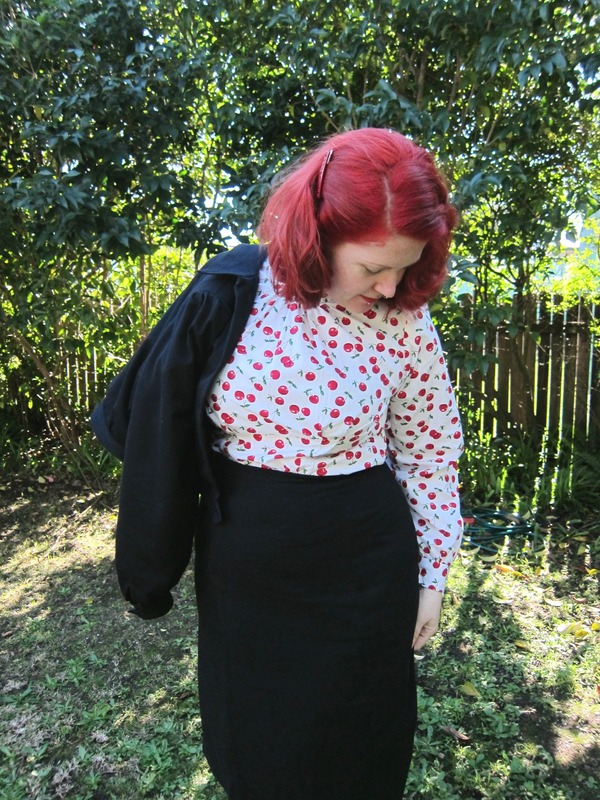 the cherry blouse looks so beautiful and the jacket turned out perfect. i almost bought a jacket like this at a tiny vintage store for little money. when i tried it on i found out why it was so cheap: this jacket was covered with moths holes. I was trying to decide if I wanted to make that exact blouse pattern and I'm so glad you listed your mods to it. The whole outfit is super cute on you! These look fab! 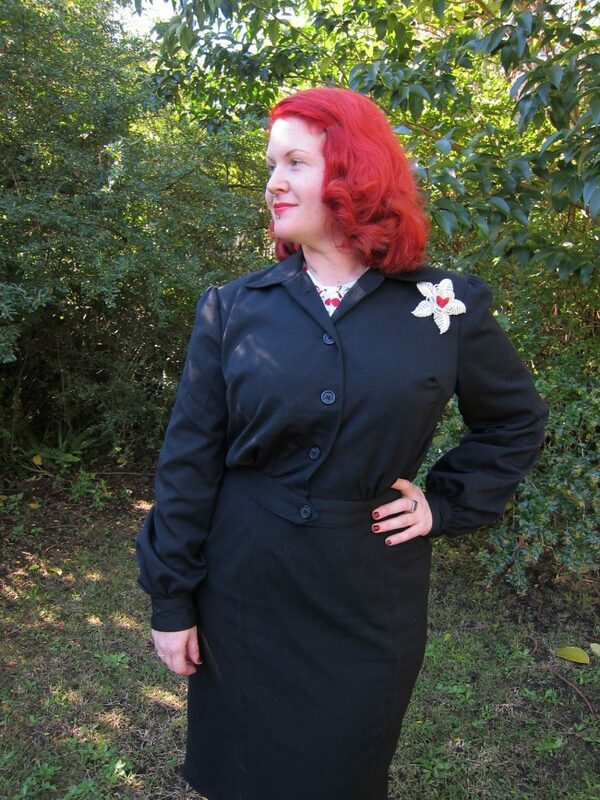 I love the jacket sleeves – very glam. And your blouse is so cute but glam too. Both are just gorgeous. 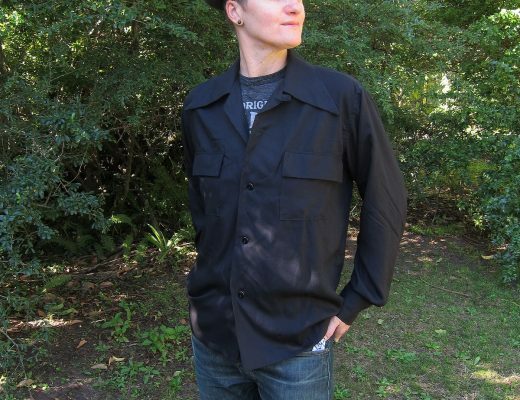 The jacket has some great details and I like the mods you have made to the blouse pattern. Do you have to use the buttons to get the top on and off or can it go over your head? I am not sure I am dextrous enough to do the buttons! Both the jacket & the blouse looks great on you! 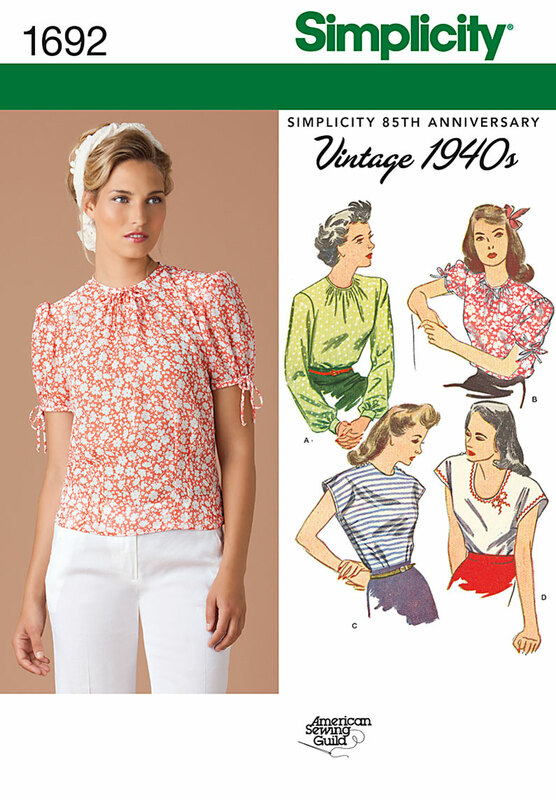 Thanks for posting the mods on the blouse pattern. 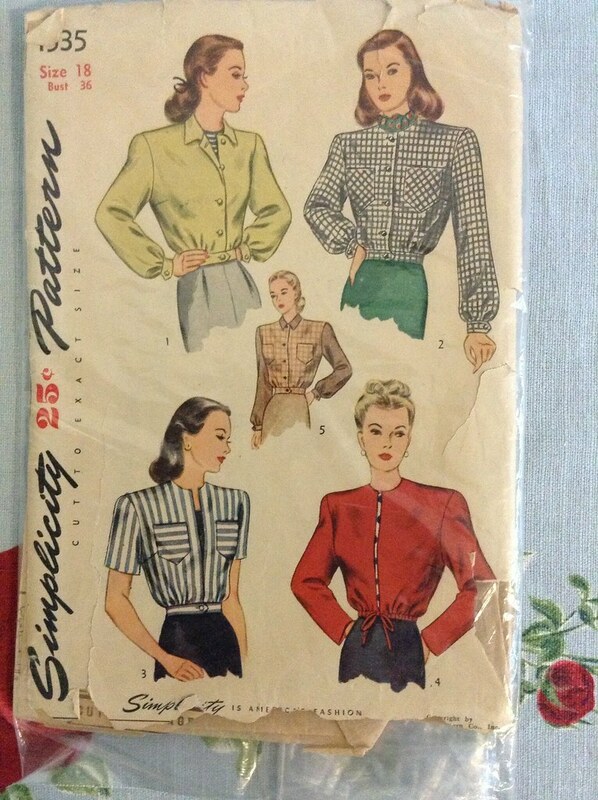 I recently bought the pattern,and being new to sewing, I'm not sure I would have even known where to begin. This looks just fabulous on you! I dream of being able to sew well enough to make wearable items for myself. I love that blouse version. I am currently making the kimono sleeve view (D?) I wish I could wear necklines like that, they just don’t look very flattering. The print is killer and i love the whole vibe!